In one of the major announcements made today at the event today, Google announced that Youtube will support download and offline viewing of its videos in India. This was said right after Google launched the three Android One smartphones in India. For now, this announcement is done only for the Indian viewers and there is no word on whether this will be available for the other countries as well. 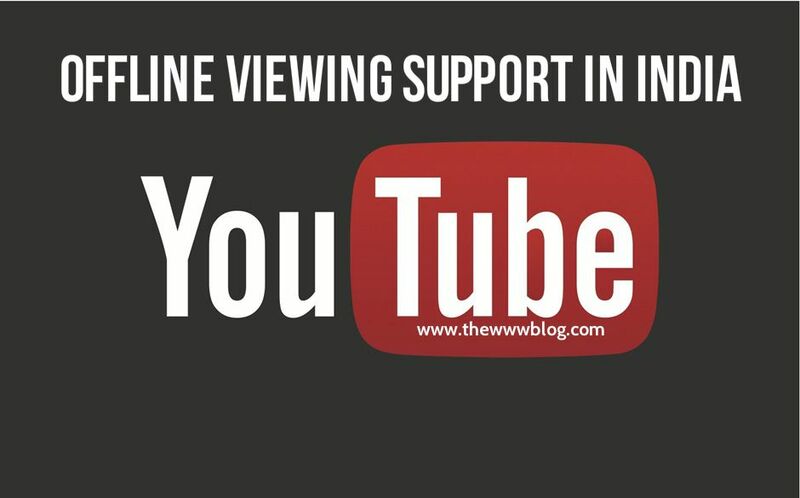 Making videos available for offline viewing would be of real advantage for the Indian users, especially for the reason that the Internet speed is not great and the data costs are high, thus viewing the video offline multiple times is easier. Though, making it offline doesn’t mean you will be able to share it easily with everyone, and these videos are not going to be ad free. There will be certain clauses tagged to this, but the announcement still is exciting and good enough. There is no restriction on the video content, i.e. one can download the music videos as well as the standard movie videos that are uploaded on Youtube, unlike the Youtube Music Key subscription that was limited to music videos. There are also claims that this feature could initially be exclusive only to Android One phones, but there is no confirmation about the same. The Youtube app is where the videos would be stored, so sharing, as said above, will not be possible with ease.